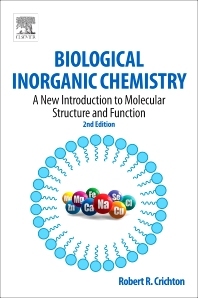 Biological Inorganic Chemistry: A New Introduction to Molecular Structure and Function, Second Edition, provides a comprehensive discussion of the biochemical aspects of metals in living systems. Beginning with an overview of metals and selected nonmetals in biology, the book then discusses the following concepts: basic coordination chemistry for biologists; structural and molecular biology for chemists; biological ligands for metal ions; intermediary metabolism and bioenergetics; and methods to study metals in biological systems. The book also covers metal assimilation pathways; transport, storage, and homeostasis of metal ions; sodium and potassium channels and pumps; magnesium phosphate metabolism and photoreceptors; calcium and cellular signaling; the catalytic role of several classes of mononuclear zinc enzymes; the biological chemistry of iron; and copper chemistry and biochemistry. In addition, the book discusses nickel and cobalt enzymes; manganese chemistry and biochemistry; molybdenum, tungsten, vanadium, and chromium; non-metals in biology; biomineralization; metals in the brain; metals and neurodegeneration; metals in medicine and metals as drugs; and metals in the environment. Why do We Need Anything Other Than C, H, N, and O (together with some P and S)? What are the Essential Elements and the Essential Metal Ions?